Underwriting is the process of evaluating the risk of insuring a home, car, driver or individual in the case of life insurance or health insurance, to determine if it's profitable for the insurance company to take the chance on providing insurance. After determining "risk", the underwriter sets a price and establishes the insurance premium that will be charged in exchange for taking on that risk. Insurance underwriters work for insurance companies. An insurance underwriter's role is to choose who and what the insurance company will insure based on risk assessment. Underwriting is the "behind the scenes" work in an insurance company. May negotiate with your agent or broker to find ways to insure you when the issue isn't so clear-cut or there are insurance issues. Underwriters are trained insurance professionals who understand risks and how to prevent them. 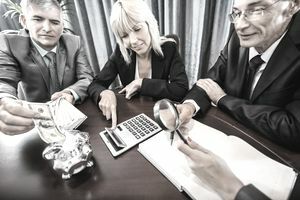 They have specialized knowledge in risk assessment and use this knowledge to determine whether they will insure something or someone, and at what cost the insurance underwriter is the insurance company's appointed risk taker, the one who decides to take on the financial responsibility to the insured if he believes in the risk. He or she reviews all the information your agent provides and decides if the company is willing to take a gamble on you. A lot of underwriting is automated, so in cases where the situation doesn't have a special circumstance, the underwriting may be programmed into computer programs, similar to the kind of quoting systems you might see when you get an online insurance quote. If everything is standard, a lot of times the underwriting is automated. Payment issues, among many other factors. See the 6 examples below to understand some of the reasons an underwriter may be involved. Insurance is a gamble. When you self-insure or decide to go without insurance, you're basically saying that you're sure nothing will happen so you're not going to ask an insurance company to back your investments and you'll take the full risk yourself. When you ask an insurance company to assume that risk instead, the insurance company must have a way of deciding just how much of a gamble it is taking and how likely it is that something will go wrong. If the stakes are too high, the company won't take on the risk. Arriving at the conclusion of what risks to take is a highly sophisticated process. It is the skill of understanding the data and statistics and guidelines provided by actuaries that enable underwriters to predict the likelihood of most risks and charge premiums accordingly. How Is an Underwriter Different Than an Agent or Broker? If the insurance underwriter is the gambler, then the agent or broker is the person who is selling the risks. The basic rules for coverage are usually outlined in an underwriting manual that is provided to agents. The manual covers standard situations and rules. When a client meets these basic rules or criteria, the agent or broker can usually take on the risk by issuing a policy. This is known as the agent or broker's binding authority. The "risk" is what you want to insure, such as your car, your home or your life. Insurance agents don't typically have decision-making authority beyond the basic rules they're given in the underwriting manual, but an agent may decline to insure you based on his knowledge of the insurance company's underwriting department. He or she can't bend the rules or make special arrangements to offer you insurance on the insurance company's behalf without the consent of the insurance underwriter. Insurance Agents vs. Insurance Underwriters: Who Represents You? An insurance agent or broker represents both you and the insurance company. The insurance agent represents you by presenting your situation to the company and negotiating to get you insurance. He advocates on your behalf. When you have questions, he's responsible for answering them. Agents also represent insurance companies by explaining coverages to you and by making sure the insurance company's rules are respected when they sell you a policy. An underwriter can bend the rules and make exceptions or alter conditions in order to make a situation less risky. Underwriters can also decide if they feel a risk is too high and cancel a policy or refuse to offer insurance. When Does an Insurance Underwriter Review an Insurance Policy? Insurance underwriters will usually review policies and risk information whenever a situation seems outside the norm, so it doesn't mean that the underwriter will never look at your case again just because you've already contracted for a policy. An underwriter can become involved whenever there's a change in insurance conditions or a material change in the risk. The underwriter will review the situation to determine if the company is willing to continue the policy on its current terms or if it will present new terms. New insurance terms might include reduced or limited coverages or increased deductibles. Can I Speak to My Insurance Underwriter? Underwriters don't speak with the general public. Although their decisions often have a direct impact on your insurance policy, the underwriter's job is solely to review the risk and set conditions of acceptance. If an underwriter is not comfortable with a risk, they may deny or cancel the insurance policy. It's not an underwriter's job to speak to the insured, but only to the agents or brokers who are responsible for passing the information onto their clients. If an underwriter has made a decision you want to discuss, your agent or broker is the only one authorized to speak to you about it. If you're unhappy with an underwriting decision and your insurance agent or broker can't resolve the problem for you, you can contact your state insurance commissioner's office, or ask your agent if the insurance company has an ombudsman who you may be able to speak to get involved on your behalf. Most insurance companies have ombudsmen or customer relations departments. Can an Underwriter's Decision Be Changed? Insurance underwriters will normally reconsider the risk when or if new information becomes available. You can always ask your agent or broker if they can negotiate your insurance terms on your behalf. How To Get What You Want From an Underwriter? Your agent or broker has to present solid facts and information that will convince the underwriter that a risk is a good one. Explaining life circumstances with solid information will always get the best results. Never be afraid to give too much information if it builds a stronger case. Underwriters are there to make judgment calls, so providing them with good information can help. The easiest way to understand when an underwriter can help or examples of how underwriters may make decisions to change insurance company decisions about your policy or your insurance is to look at examples. Elizabeth and John purchased a new home and decided to sell their old one. The real estate market was difficult at the time and they didn't sell their first home as fast as they'd hoped. They ended up moving out before they'd sold it. They called their insurance agent to let them know the old home was empty and their agent advised them they would need to fill out a vacancy questionnaire and provide additional details. The underwriter would review the risk and decide if they would allow the vacancy permit to keep the home insured. Elizabeth and John's new home needed a lot of repairs. The insurance company would not normally accept a home that did not have updated electrical wiring, but John and Elizabeth had been clients for a few years and they had never made any claims. They also insured their car with the same company. Their agent decided to refer their case to underwriting. John and Elizabeth promised to repair the electrical wiring within 30 days. The underwriting department reviewed Elizabeth and John's profile and decided they were comfortable with taking on the risk. The underwriter advised the agent they would not cancel the home insurance policy due to the lack of repairs, but would instead increase the deductible to $5,000 temporarily and give John and Elizabeth 30 days to get the work done. The policy could go back to a normal deductible after the conditions had been met because the risk with the electrical wiring would have been fixed. Mary has made three glass claims in five years, but other than that, she has a perfect driving record. The insurance company wants to continue to insure her, but it has to do something to make the risk profitable again. It's paid $1,400 in glass claims, but Mary only pays $300 a year for glass coverage, and she has a $100 deductible. The underwriter reviews the file and decides to offer new conditions to Mary upon her renewal. The company agrees to offer her full coverage but it will increase her deductible to $500. Alternatively, they offer to renew the policy with limited glass coverage. This is the underwriter's way of minimizing risk while still providing Mary with the other coverages she needs, like liability and collision. Jane went to her insurance agent to get a car insurance policy. When she told the agent that she had driven without a license and insurance for five years and was charged with reckless driving three times, the agent said that the underwriting department would not insure her. She's too much of a risk. Mark has had three water damage claims in the past six years. They were all from the same source because Mark refuses to change anything in his home to prevent the risk from reoccurring. The underwriter has refused to continue to insure him because nothing has changed to make the risk any safer. Although some high-risk insurers might take Mark on, even they might ask that the source of damage first is rectified or that preventative measures be taken. They might also agree to insure Mark's home for fire only, excluding water damage. John is getting engaged so he calls his tenant's insurance agent and asks to add a jewelry rider to his policy for the engagement ring he just bought. He has a $20,000 tenant policy so the agent asks him how much he wants to insure the ring for. He asks to insure the ring for $45,000. He has proof of its value. The agent refers the situation to underwriting and the underwriter refuses to add the rider when he reviews the file. It just doesn't make sense that all John's possessions are worth only $20,000 but he spent $45,000 on a ring. When the agent talks to John, they agree that the value of the contents in his home is way off. He has a watch worth $10,000 and his home theater system is almost worth half of what he's insured for. John hadn't reviewed his insurance for several years and he now has a higher paying job. He's upgraded a lot. John's agent realizes that John qualifies for a different type of policy with a higher limit. When the agent calls the underwriter back to refer the risk, the situation makes sense this time and the underwriter agrees to insure the $45,000 ring. The underwriter is comfortable with the risk after he has all this information. Underwriting is a process with many shifting parts. If you're unsure why a claim or your coverage has been denied, ask your agent for the likely cause so you can remedy the situation and move forward.